View cart “Hare Mask” has been added to your cart. 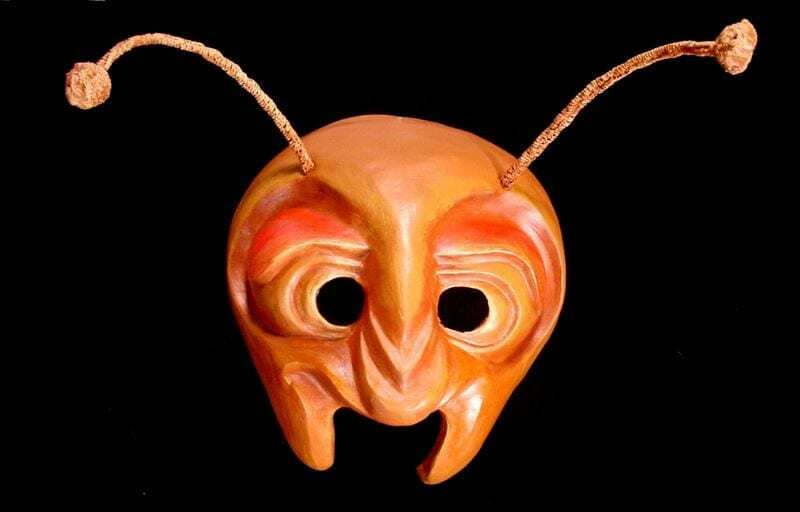 The Ant Half Mask is a neoprene mask, painted with acrylic paints. The antennae are made out of pipe cleaners dipped neoprene. Although this mask is wise it is not old enough to be over the hill. It is just busy under the hill. Very, very busy.